When you manage your own server there is this problem of finding a simple tool which would help you figure out where your network bandwidth is going. Especially if you are a developer or you have no training in server administration, once you enter this uncharted territory, this task which looks naive often turns out to be a tedious and very time consuming job. That’s where darkstat comes into rescue. 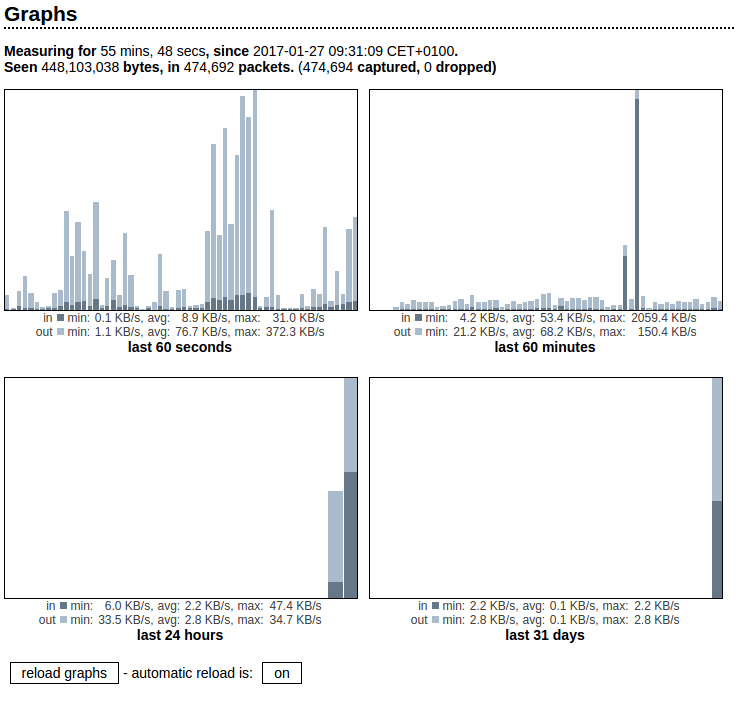 It is simple tool with web UI which upon installing would give you some (useful) graphs about the current traffic situation of your server, or particular network interface in cases when you have to find out what/who is eating your bandwidth. But it’s real power comes from it’s hosts section (second picture). The ‘hosts’ section of the interface is especially useful. 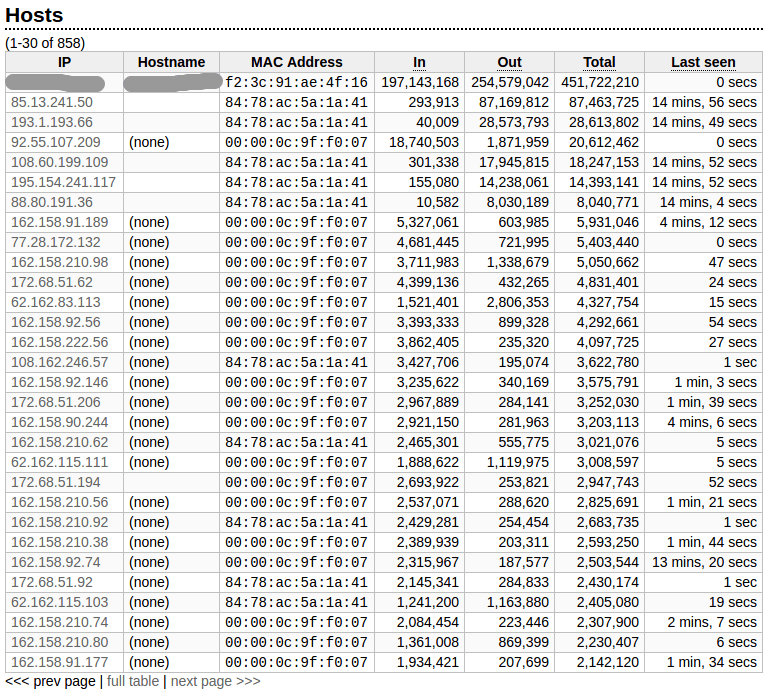 It gives you a list of (by bandwidth usage) sorted IP addresses. Each of those can be further opened to see the host name for that particular IP address, the ports which were opened on the server while communicating with it, and the in/out/total amount of bandwidth transferred while communicating with that host. Of course this by it self won’t give you all the answers you are looking for when your server is under a big load, but it will help you narrow down the possible causes. This will complete your installation. While the previous versions took over your terminal and you had to run them with the –detach option if you wanted darkstat to start as a daemon, this behavior is removed since v3. Once you start the application (it’s home should be in the /usr/local/sbin/ directory) darkstat will run in background and do it’s magic. There are also several options which you can use when starting the program. Let’s look at some of them. As root user navigate to the /etc/rc.d directory. Execute the following command. It will add the command as the last line in the rc.local file and will allow darkstat to run at boot time. Mind the interface name and port number. Do you know any other simple application which would help in this kind of scenario? Please write in the comments bellow, I would love to read about it. great blog, helped me to install the darkstat. Thanks.